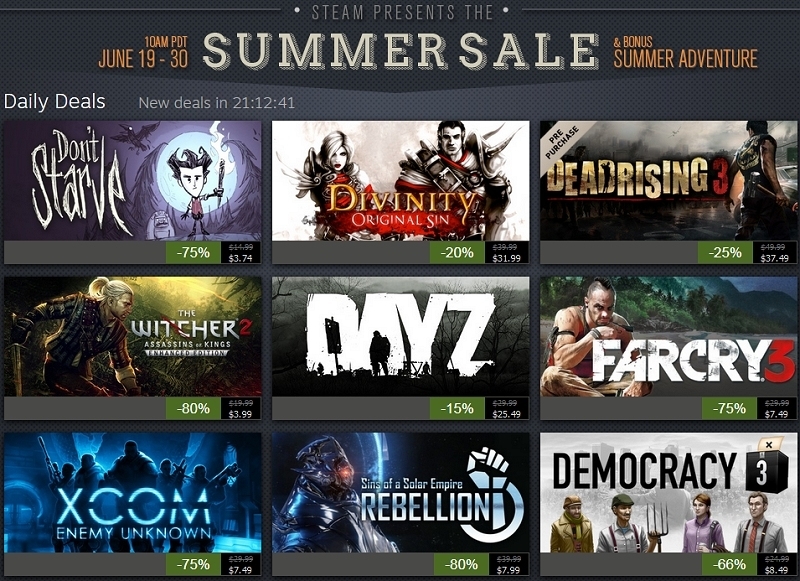 Grab your wallets, boys and girls, as Steam’s annual Summer Sale has finally arrived. Now through June 30 is your chance to score epic discounts on some of the industry’s hottest games. As of writing, you can scoop up Dead Island Riptide for $4.99, Devil May Cry for $12.49, Hotline Miami for $1.49 and Mirror’s Edge for $4.99 as part of the current flash sale. The first community’s choice offering will be made available later today so there’s still time to cast your vote. A new batch of daily deals arrive every day at 10 am PT while flash sales and community’s choice both refresh every eight hours. What games are you hoping Valve will add to this year’s Steam Summer Sale? Let us know in the comments section below.